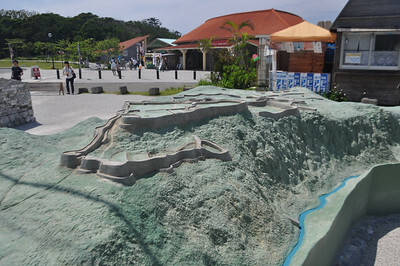 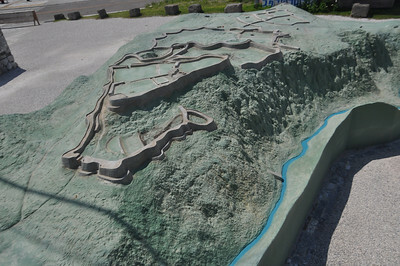 Annotated and edited version of the outdoor relief map at the castle visitor center. 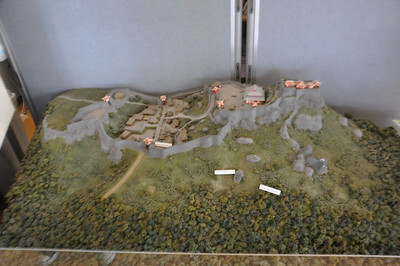 Katsuran Castle model. 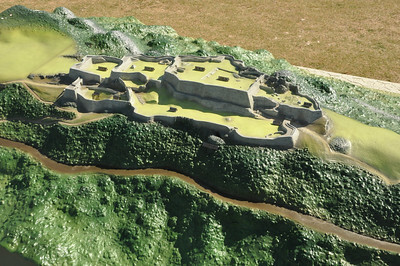 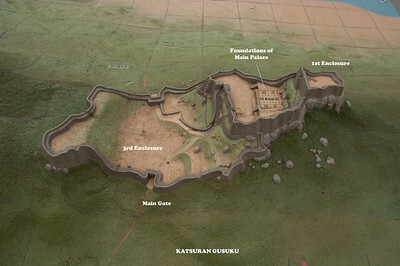 Detail of 3rd enclosure showing probable layout of interior structures based on archaeological evidence. 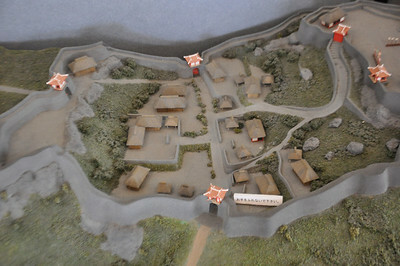 Structures in red appear to have had tile roofs. 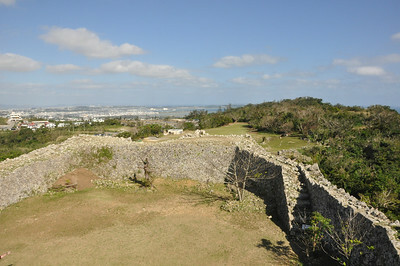 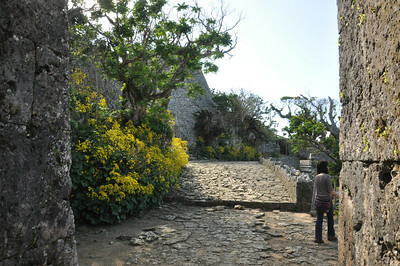 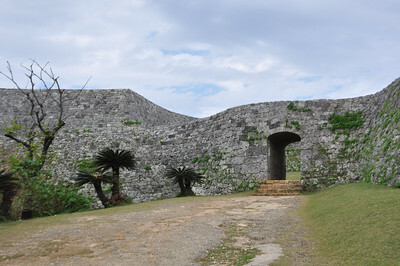 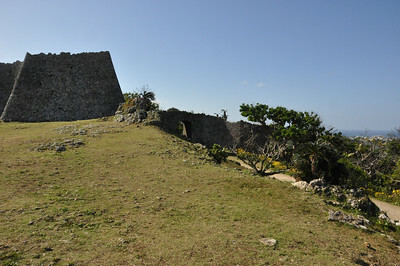 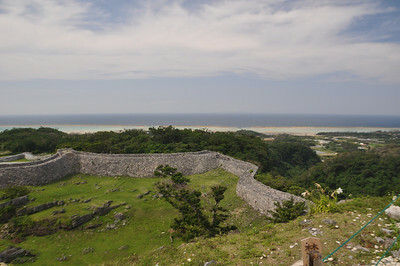 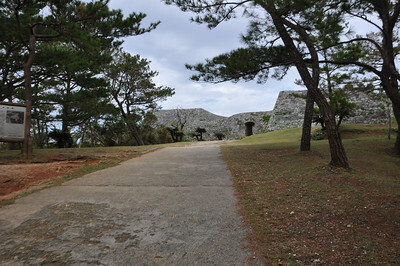 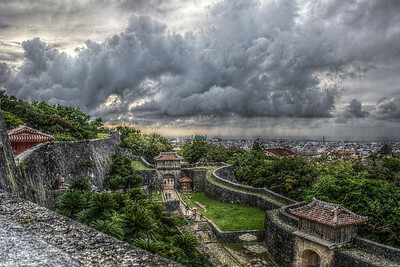 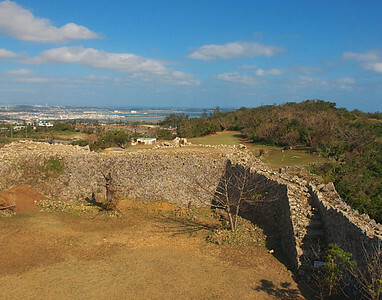 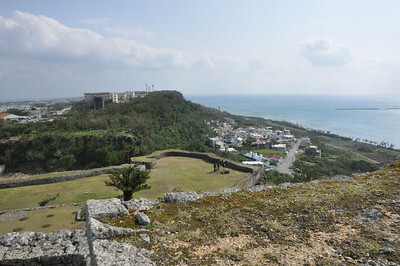 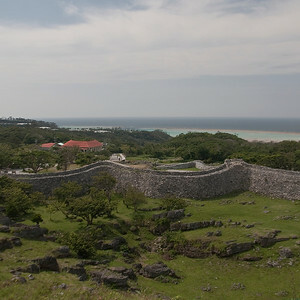 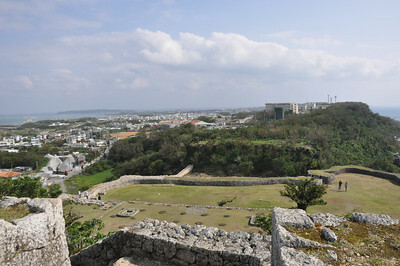 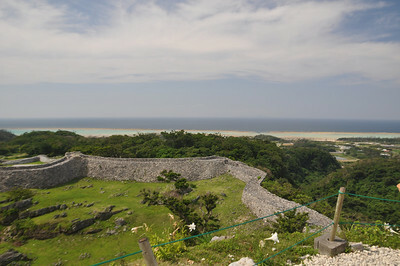 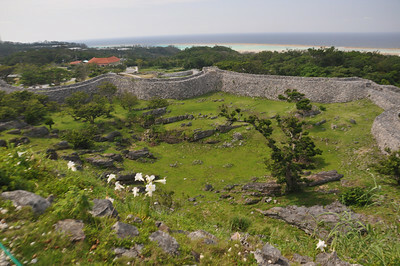 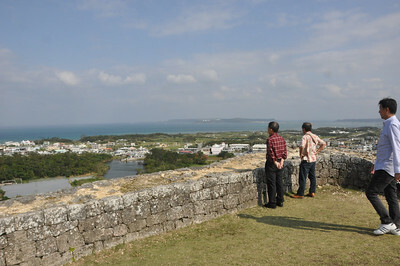 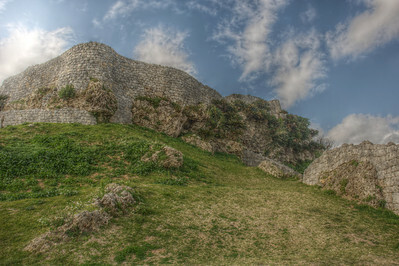 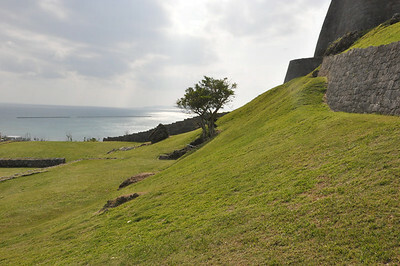 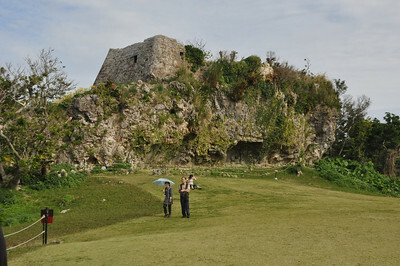 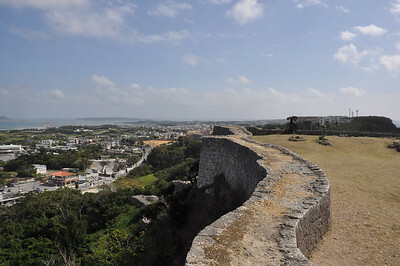 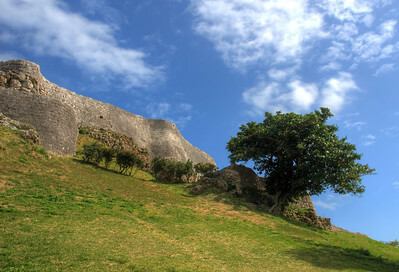 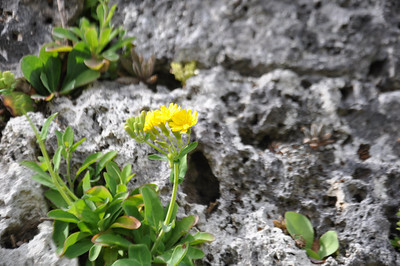 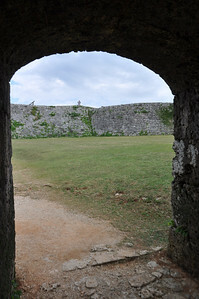 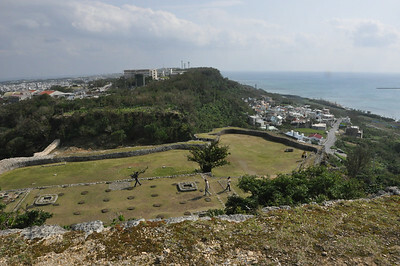 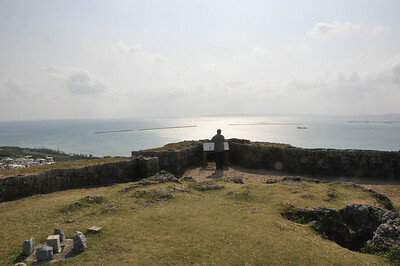 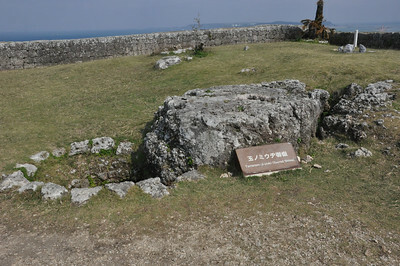 Katsuren castle, Okinawa. 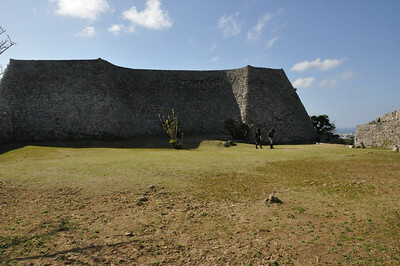 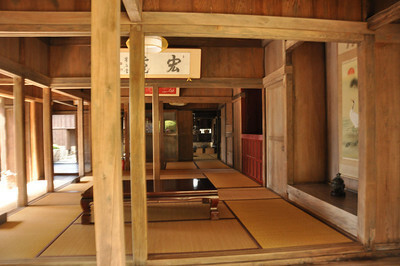 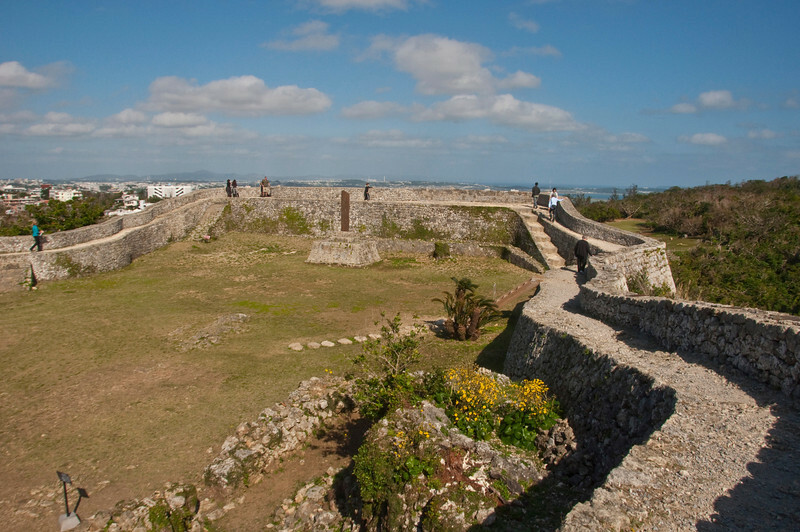 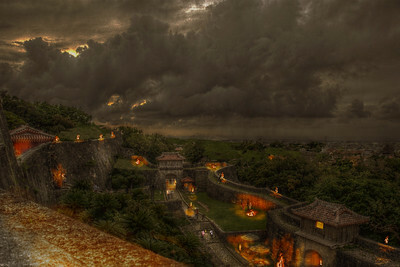 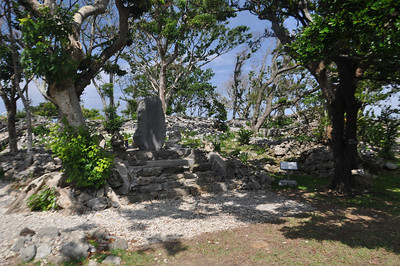 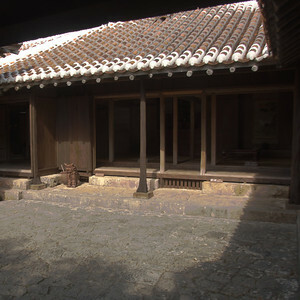 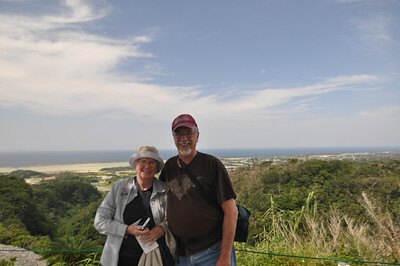 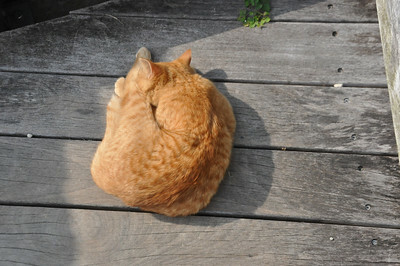 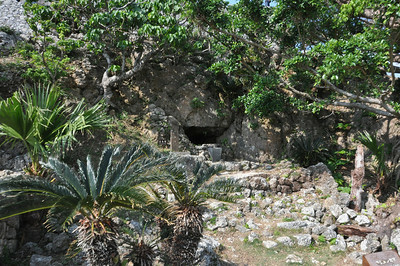 In the 15th century it was the seat of Lord Amawari, one of the most powerful of the Ryukyuan lords. 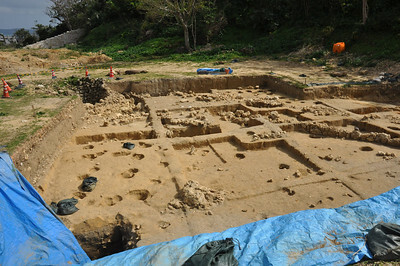 Archaeological digs here have turned up Chinese and Japanese ceramics and other evidence of significant trade and contact. 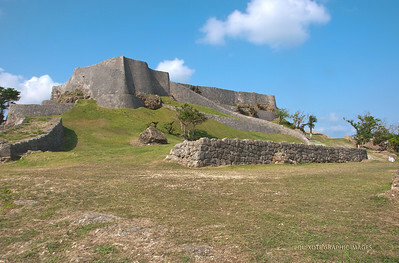 View from 2nd enclosure looking up toward 1st enclosure of Katsuran Castle. 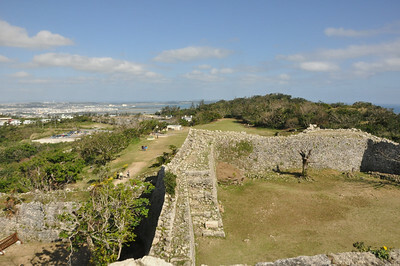 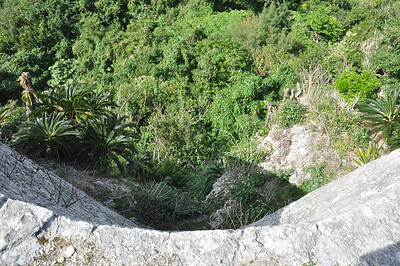 Looking down the outer walls on the cliff side. 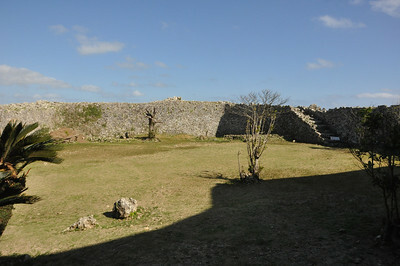 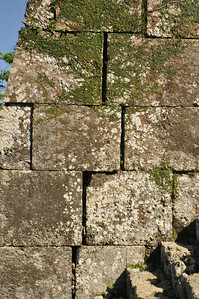 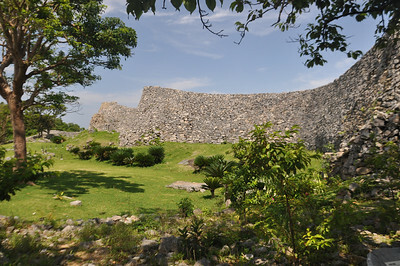 view from below of the south wall of the 2nd enclosure.